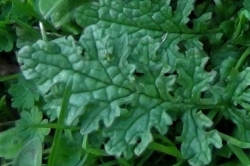 The deeply lobed, crinkly leaves of ragwort, Jacobaea vulgaris. 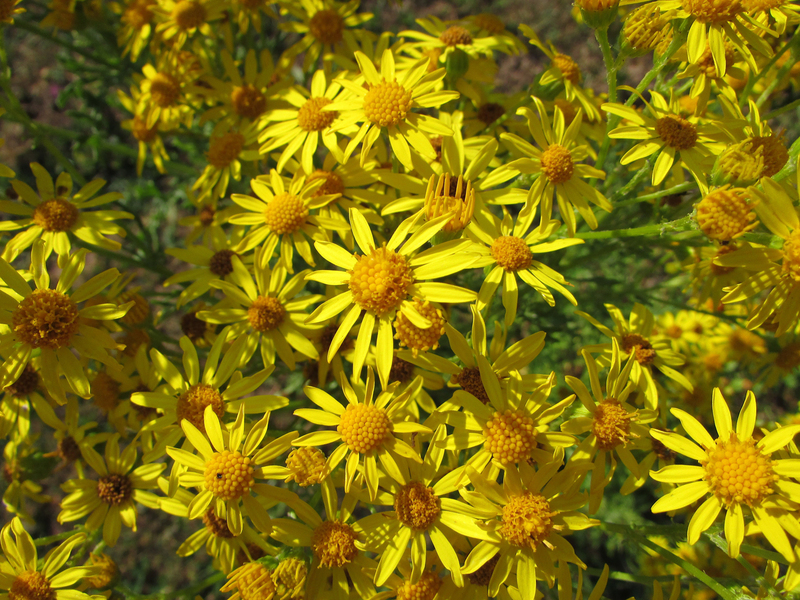 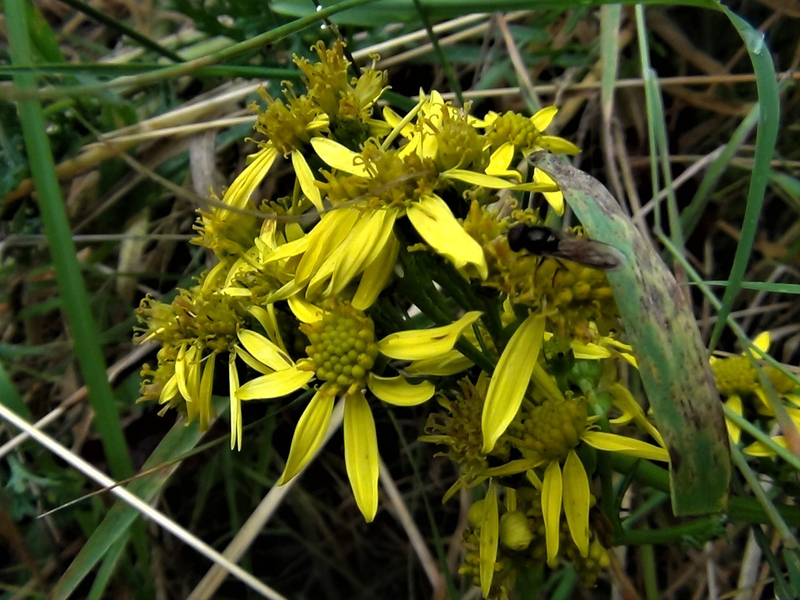 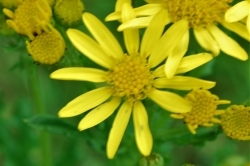 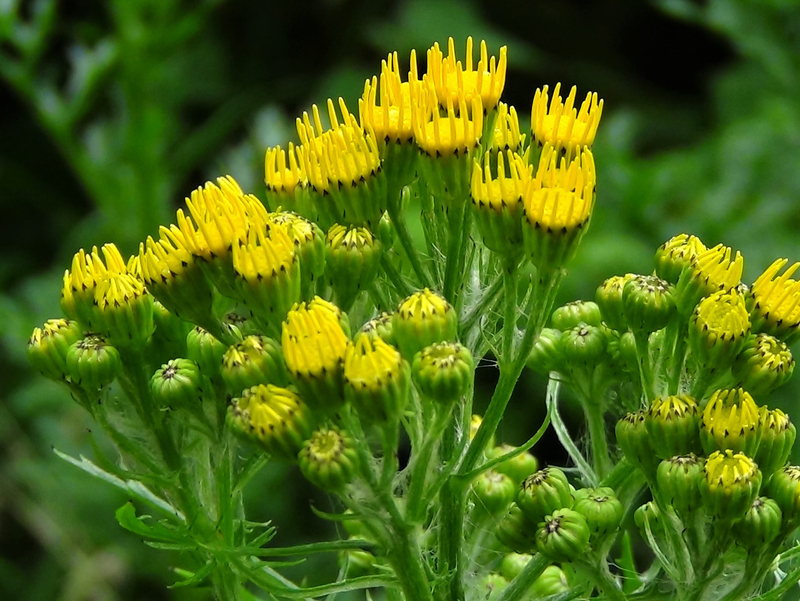 Some people have an allergic reaction of the skin from touching Ragwort. 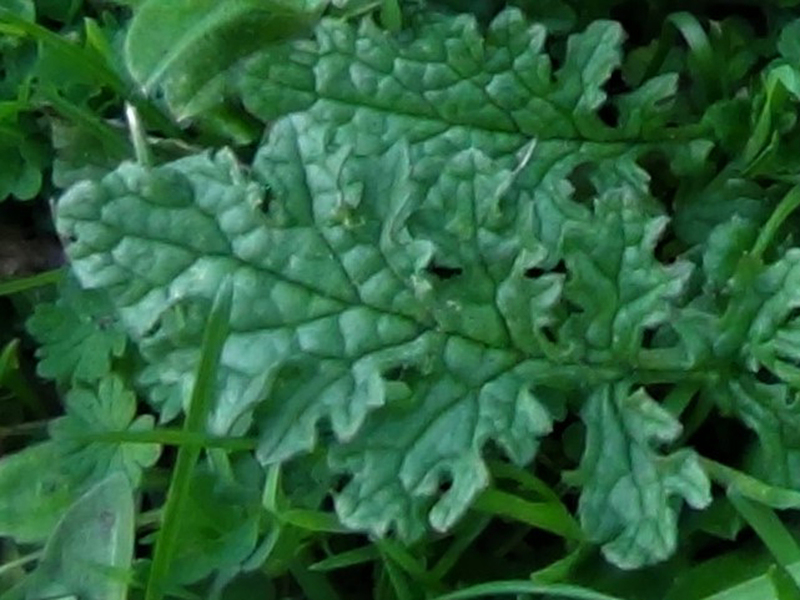 The leaves are pinnately lobed, the lobes getting bigger towards the end of the leaf. 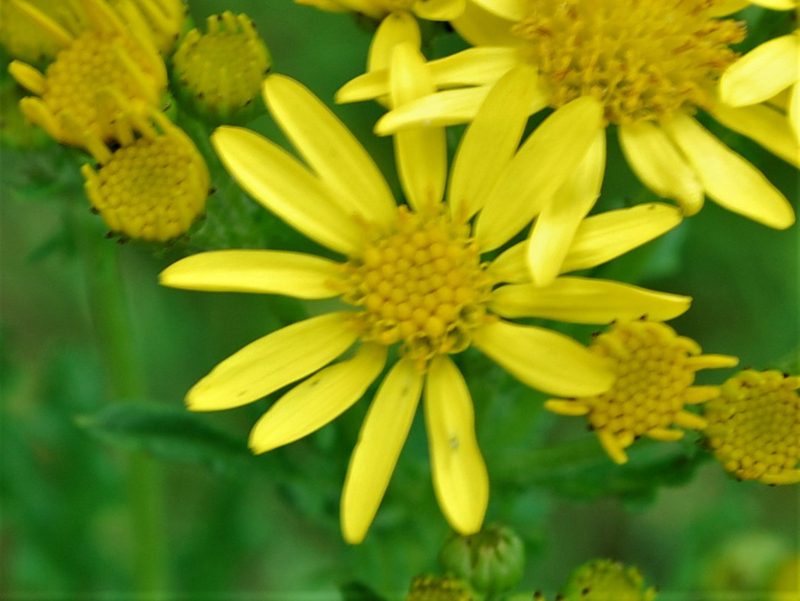 Ragwort is a biennial and in the first year the leaves grow in a rosette with the flower stems appearing in the second year. 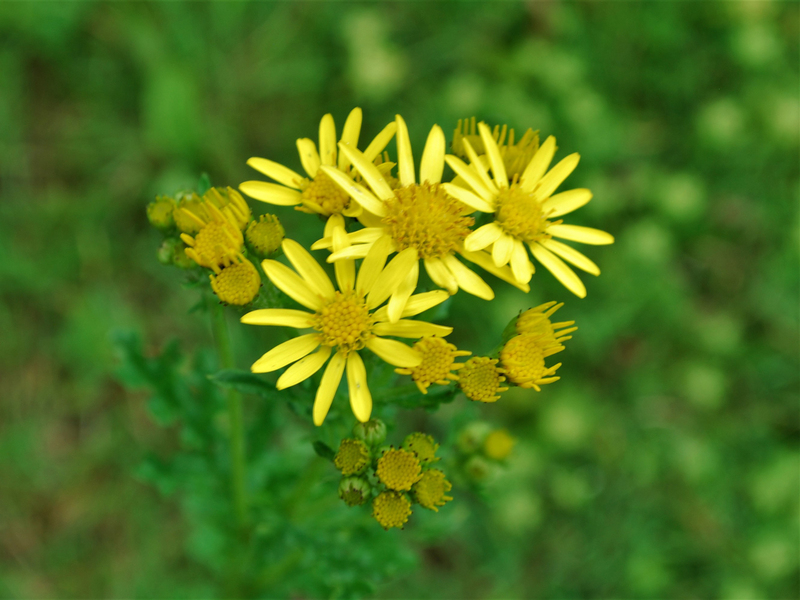 Ragwort produces many yellow flowers in its second year growth and keeps flowering from June to November, when the seeds have been produced the plant dies. 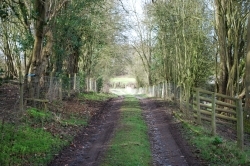 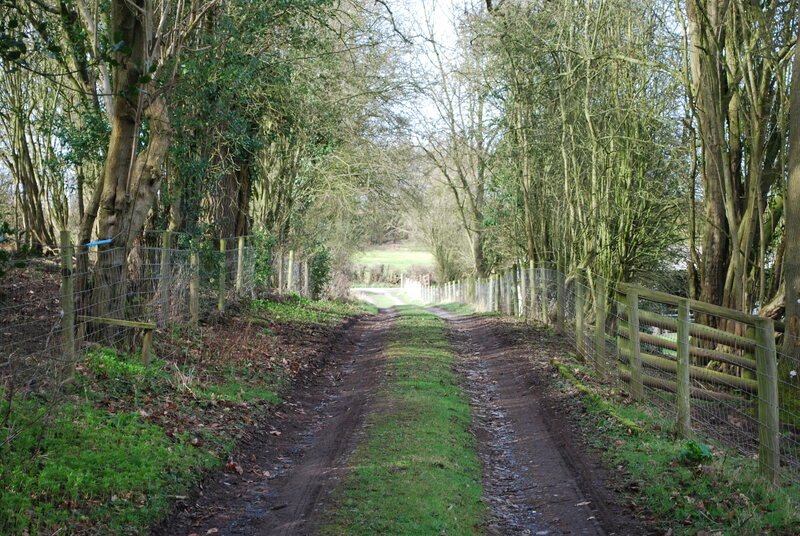 Fields, pastures, waste ground, roadsides and open spaces and likes cool but damp conditions. 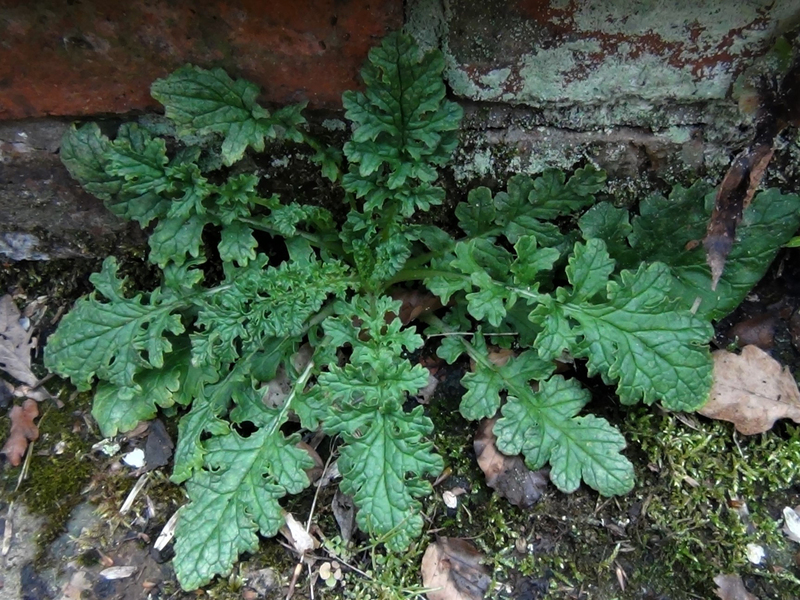 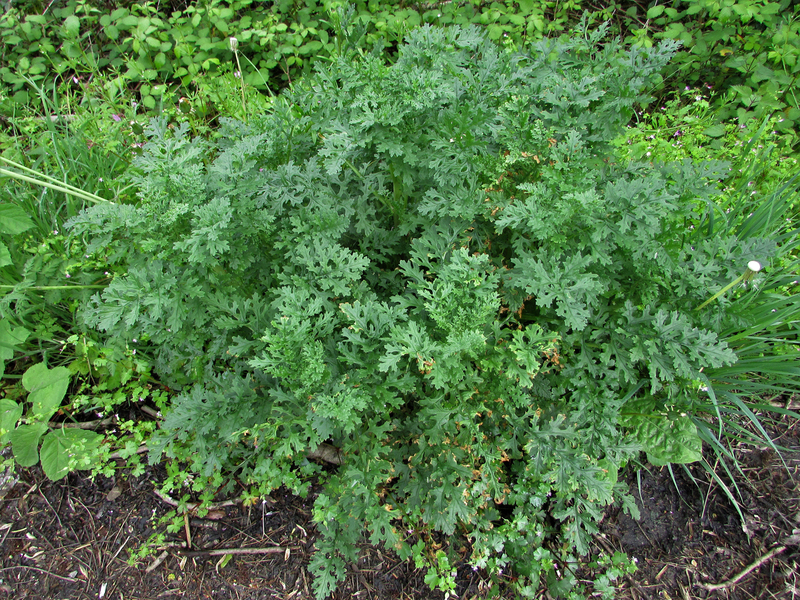 The plant looks a little like Tansy, Tanacetum vulgare, but is generally ‘raggedy’ enough to identify. 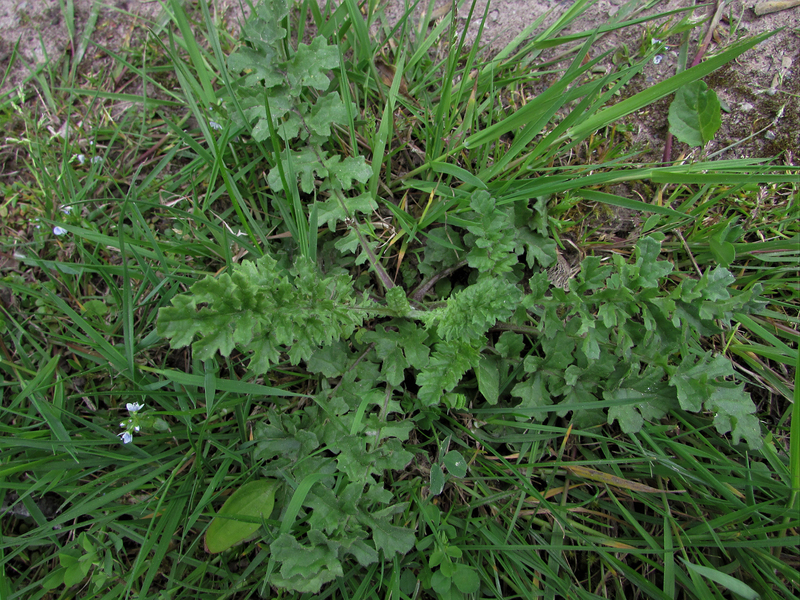 When trying to eradicate ragwort all the root must be removed or the plant will grow back again. 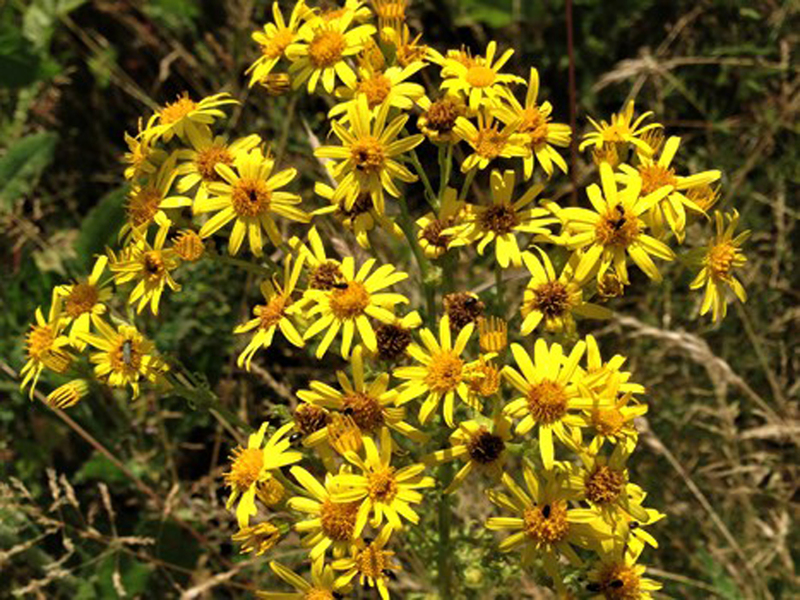 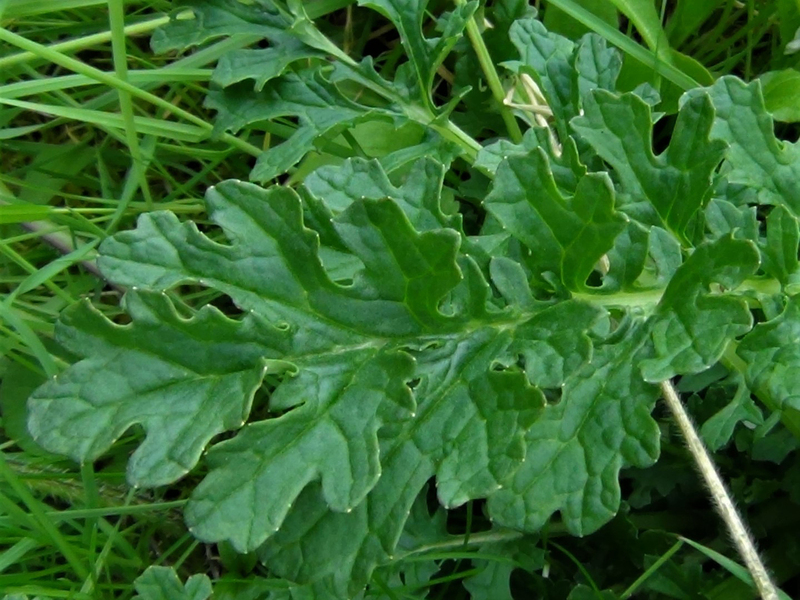 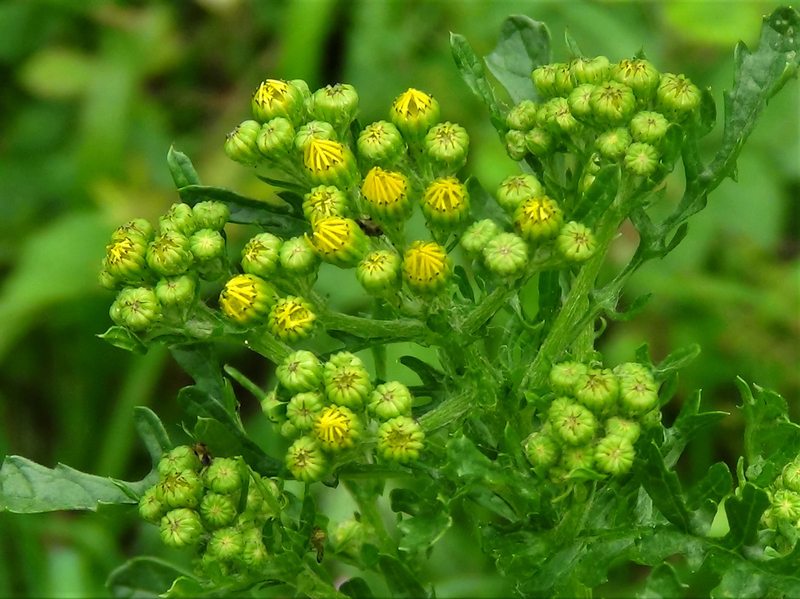 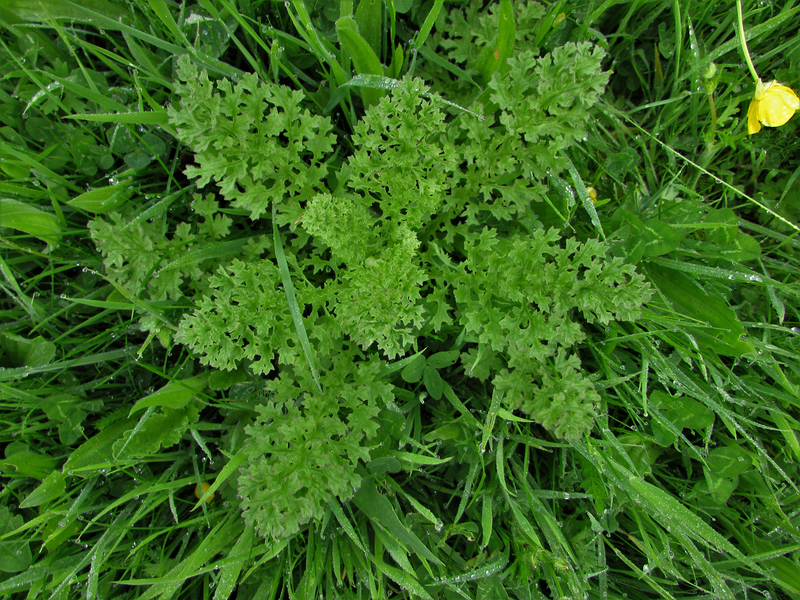 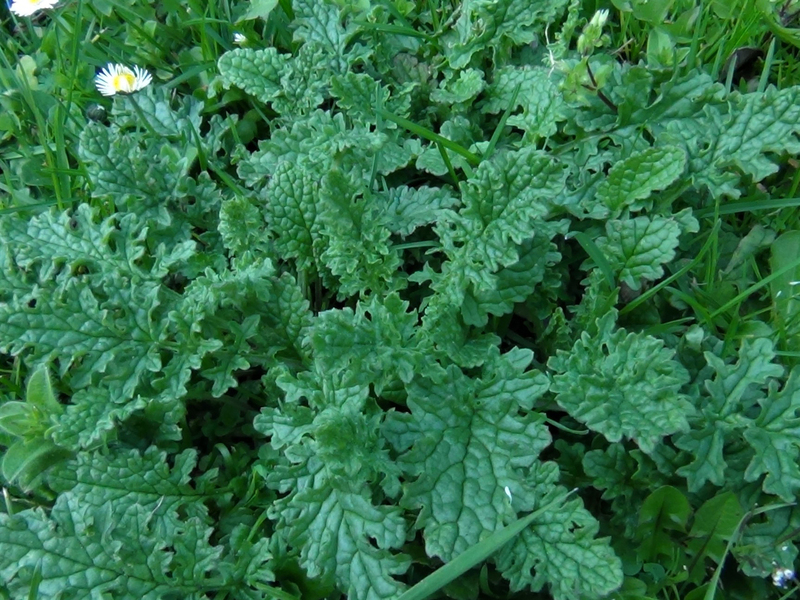 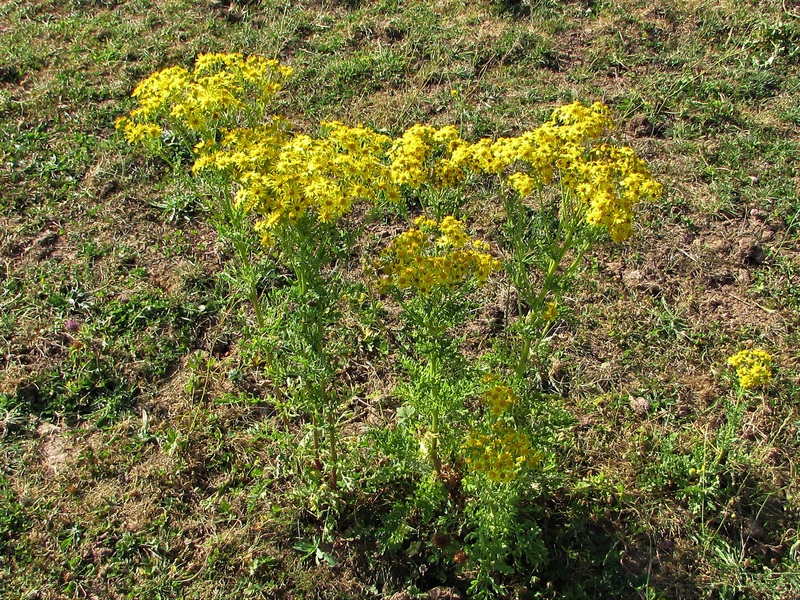 There are not many reports of Ragwort poisoning in humans as the plant tastes horrible enough to prevent consumption and horses will avoid the plant for similar reasons, the problem for horses occurs when dried Ragwort is mixed in with hay as horses can not recognise the plant dry. 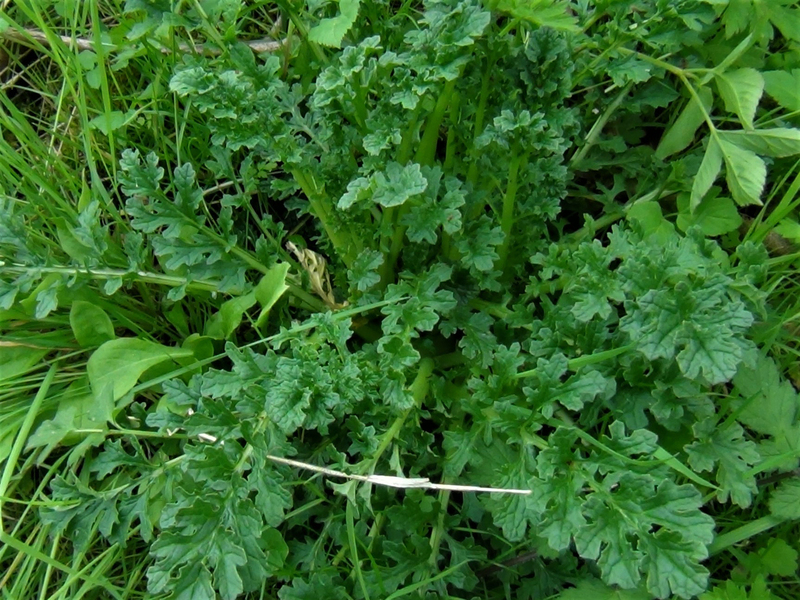 The leaves can be used to produce a green dye, the flowers, a yellow dye. 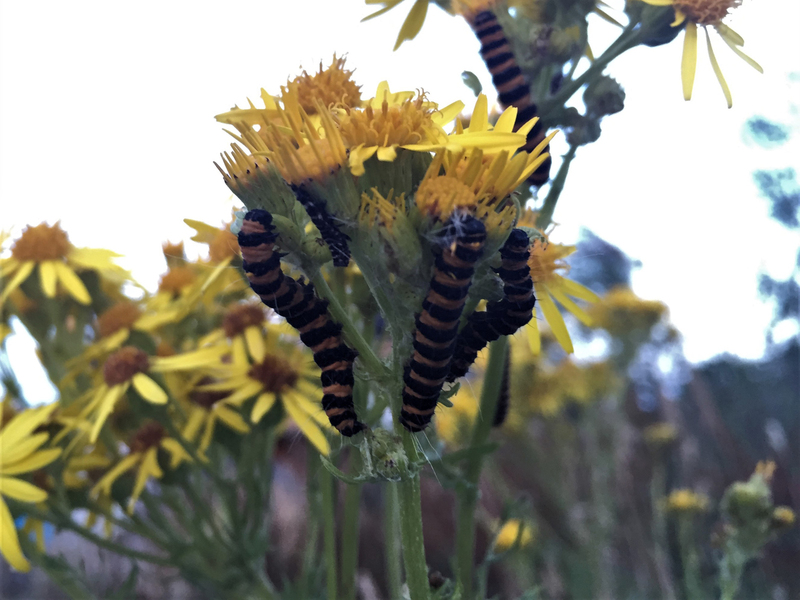 The cinnabar moth relies on ragwort during its life cycle.